A shorter, compact inside linebacker prospect with a thickly put together frame. Generates a natural snap into contact. When taking on blocks inside. Creates natural leverage for himself, is an explosive kid who can deliver a thump at the point of attack and to his credit does a nice job extending his arms and keeping himself clean. Isn’t real long armed and has a tough time stacking and shedding consistently in the hole. Can stonewall defenders, but isn’t a consistent shed guy once engaged. Is quick to decipher information though, keys off blocks well, is always getting early jumps on the football and exhibits an explosive element to his game when asked to close. Breaks down well in space, takes good angles to the ball carrier and is quickly able to snap his hips into contact and create collisions. Is a guy who can create turnovers at the point in the run game. Showcases some savvy as a blitzer, finds rush lanes quickly and uses his shimmy/arm over in order to side step blocks. Possesses a good first step and closing speed when chasing the ball carrier and knows how to keep himself clean. Uses his hands well when picking his way through trash inside with the first step to accelerate away from blocks off his frame. Has a tendency to get a bit upright in coverage which takes away from his initial balance. Needs a step or two to collect himself before he’s able to get back up to speed. Will give up initial separation in man. However, exhibits decent fluidity in the hips when asked to re-direct, and in zone keeps his feet under him better and displays plus initial burst and closing speed toward the football. Ball skills are only average, but he’s a guy who can cover some ground in space. Just needs to improve pad level when changing directions. Impression: Is a good athlete who can run, close on the football and play with power in the run game. Needs to play a bit lower in coverage, but overall does everything at a pretty solid NFL level. Is a guy who can win a starting job at the next level. 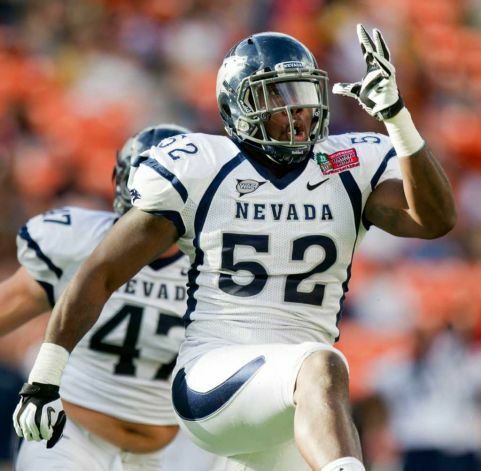 Positives — Has good mix of size and speed, has prototypical frame and bulk for the inside linebacker position… Good production in two seasons as team captain at Nevada (188 tackles, four sacks, four forced fumbles, five pass break-ups)… No durability issues, did not miss any time due to injury in final four seasons… Does a good job reading the eyes of the quarterback in underneath coverage, shows surprisingly good COD ability when breaking on the ball in the air… Shows good pop with his hands at contact, uses hands well to disengage from blockers with longer arms… Can tackle with a lot of pop, is a good wrap-up tackler who has the ability to drag down larger backs or jar the ball loose at contact… Has experience at both inside and outside linebacker positions, versatility and experience could be big selling point in the draft… Has decent arsenal of pass-rushing moves from the inside, can shoot gaps effectively and mix in rip and swim moves when called for. A two-time team captain and productive, four-year starter with experience playing inside and outside. Has the versatility to appeal to teams seeking interchangeable linebackers. Has eventual starter potential; could find his way as a special-teams kamikaze. James-Michael Johnson is a solid middle linebacker prospect. Does nothing special, but does everything really well. Good tackler. Versatile. Good pass rusher. Decent in coverage, but certainly needs work in that. Some technical issues. But productive. Good athlete and can seek and find the football. Smart and can make all the calls. Question is whether he’s better as a starter or as a reserve and special teamer. Won’t stay with faster guys. I think he has the potential to start, but I think he’s better suited on special teams, because he can just seek and find the ball. Middle rounder. I think he’s a decent prospect, but he’s more Jon Goff than superstar. Solid, but if the Giants want another reserve linebacker who contribute on special teams, then he’s their guy. 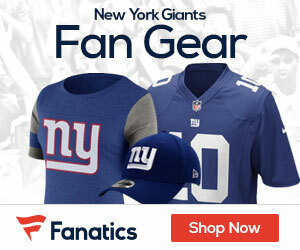 But, do they want another Greg Jones/Mark Herzlich? Remains to be seen.